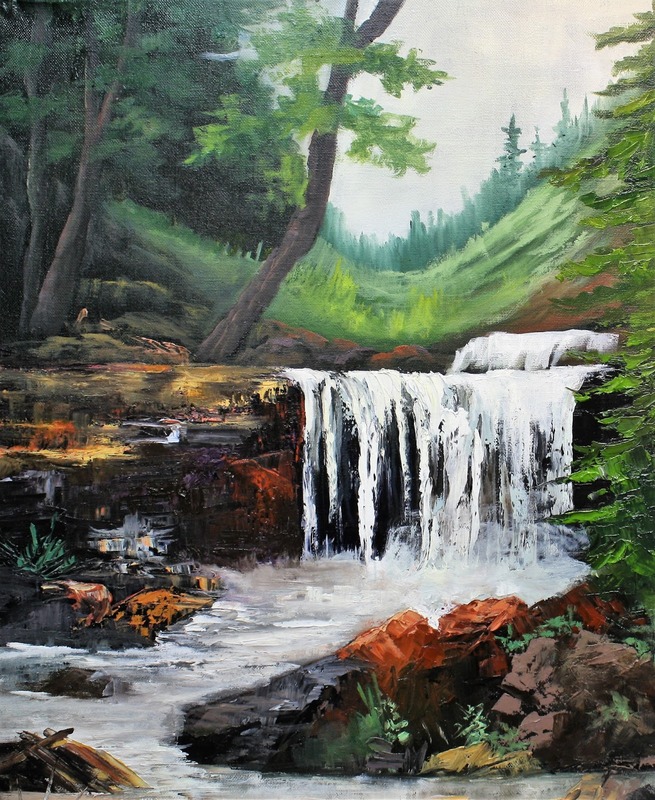 This waterfall was done as a challenge and from a photo. The painting has textures and lots o thick paint. The painting is sgned and framed for you. This one pops off the canvas!